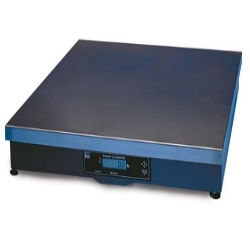 NCI 7840 and parcel scales are suitable for heavier or oversized items. They are as big as 24 inches, able to handle most large parcels or containers. These bench scales have a high capacity, up to 250 lbs and are switchable between lb/kg for added flexibility. Platform: 18" x 24"
NCI 7840 and parcel scales are suitable for heavier or oversized items. They are as big as 24 inches, able to handle most large parcels or containers. These bench scales have a high capacity, up to 250 lb and are switchable between lb/kg for added flexibility. Platform: 18" x 24"
Fast Digital Response – Speeds processing time that results in improved throughput and increased productivity. DuraBridge® Technology – Reduces overall scale deflection when a full load is applied. Resident Display – Front mounted, 1/2" H, six-digit LCD display. 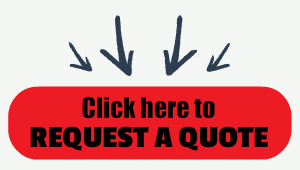 Large Weigh Platters – Easily accommodates oversize parcels or containers. RS-232 Cable – DB-9 pin female connector allows you to connect to a PC. ZERO: With auto zero tracking for zeroing the scale. TEST: Runs a diagnostic program to assure scale is fully functional. I/O Port – Allows for connection to a computer or smart terminal. Uses standard PC cable to 9-pin "D" connector on scale. RS-232, bidirectional, configurable 1200 - 19.2K baud. Transmits weight and scale status whenever ASCII “W” <CR> is sent by a remote device. High resolution “H” command accesses increased resolution. Power Supply – Recessed power supply with standard wall plug. Weight classifier or scale configurations available in setup. Ball-Top Weigh Platter – Simplifies transport of all parcels. Ideal for conveyor lines. One piece lift-off design equipped with 48 balls. Remote Display – Six-digit LCD housed in a molded enclosure with a 7-ft. cable. Display Tower – 12” tower for remote display.